There are many people that do not like Julian Assange, yet there are also millions around the world that love him. I have tried to explain this to the pro Assange folks that I know, it doesn’t matter what side of the political football you sit on in Washington, D.C. they do not like Julian Assange. I have people on my team that have worked in various agencies, various military backgrounds, LEO’s, and Private Investigators. One thing remains, whether they are a die hard Republican or Democrat at heart, they have a common bond. I have yet to find one member of our government that likes Assange or what he does. 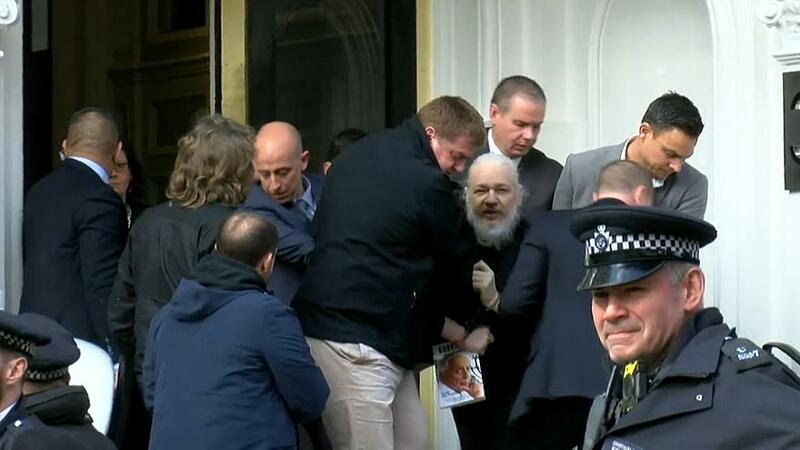 In the video above you can see British Secret Police drag Wikileaks founder and leader Julian Assange out of the Ecuadorian Embassy. Fox News is reporting he will be extradited to the United States. I don’t care whether you like Assange or dislike him. This is s scary precedent that members of a free press can be extradited to countries that they are not from because said country is “angry” about what they published.